The homeschool journey is no exception. Field trips are by far the most interesting and adventurous aspects of all our educational activities. Whether its teaching kids or living life, God-given opportunities exist at almost every turn. All we need to do is tune into them. The world around us is vast. Knowing where to begin is daunting, but actively giving the Holy Spirit a role in our Homeschooling has the potential transform it. Of course, in the long sustained fog of this epoch – fast, instant and time-poor – noticing God-given opportunities can be difficult. External expectations line up outside and beat on our door. They place stress on our internal expectations. Routine loses flexibility, meeting a schedule winds up meaning the worship of one. Balancing this external and internal dichotomy becomes a grind, it runs us down and becomes a chore. Sometimes this has a paralysing or stifling effect. It hinders our ability to discover, wonder and let-go just enough so that God has room to surprise us. This week our homeschool crew was blessed to participate in some living history. Lachlan Valley Railways brought one of their working locomotives and carriages to town. We’ve been doing this every time they visit our area. This year, however, we almost missed out because it wasn’t advertised as loudly as it has been in the past. On a random nature walk, we heard the whistle and saw the black smoke. So, we booked some tickets, organised some other family to come along for the ride, and found ourselves traveling in a different direction to the one we had planned. God is worthy of invitation. The presence of the Holy Spirit transforms the adventure. It’s Jesus Christ meeting the effort we put into our work, calling us to walk, rely and live. All we need to do is make room, acknowledge and be prepared to be moved beyond ourselves. Handing over our worry over external pressures, meeting inflexible schedules and pride. Some of the learning outcomes covered by this hands-on history lesson: transportation, steam power, train safety, technology, fossil fuels, God’s grace and fun. [i] G. K. Chesterton Heretics Catholic Way Publishing (p. 101). What a blessing! I wish we had trains like this in our area. Looks like fun. You guys don’t have ’em? Hmm. Wow. I’d have figured there’d be some sort of working museum, given the amazing history there? Although we made the effort, it was a gift. Hard not to be grateful for moments where God reminds us of His presence & nudging in a more obvious way. We do have museums, few, but one or two. Unfortunately, as I mentioned, none running though. It’s sad. Unless you count Disneyland. Those are running. But I’m not heir to a small fortune, so Disneyland tickets are not likely to be forthcoming soon. Anyway, man, I’m jealous. I hope to take a cross-country trip on a train someday. Me either :). 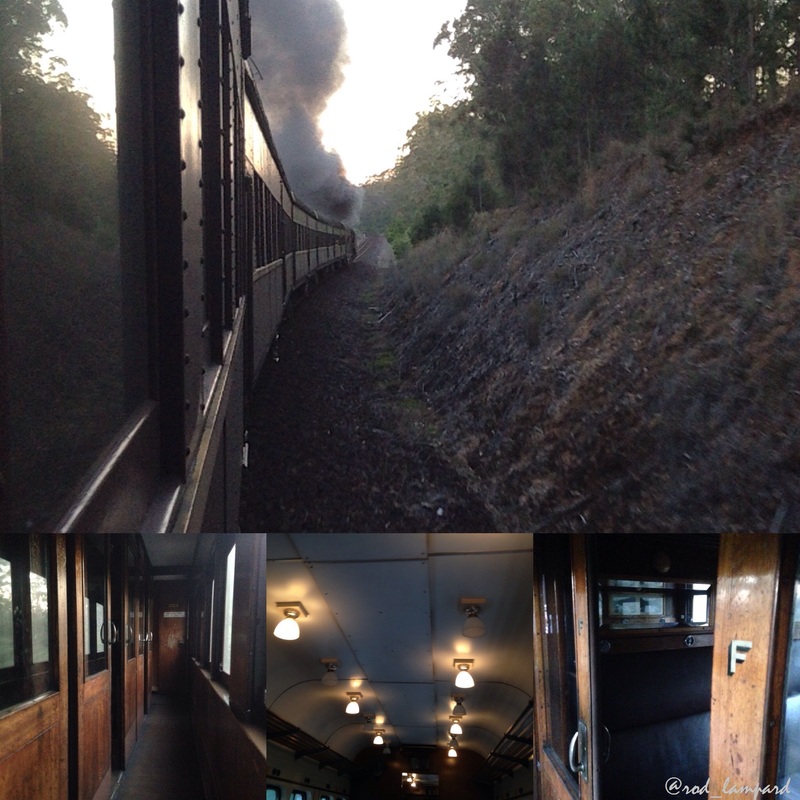 As for the old school train: I recommend it if you get the chance. Classy ride. 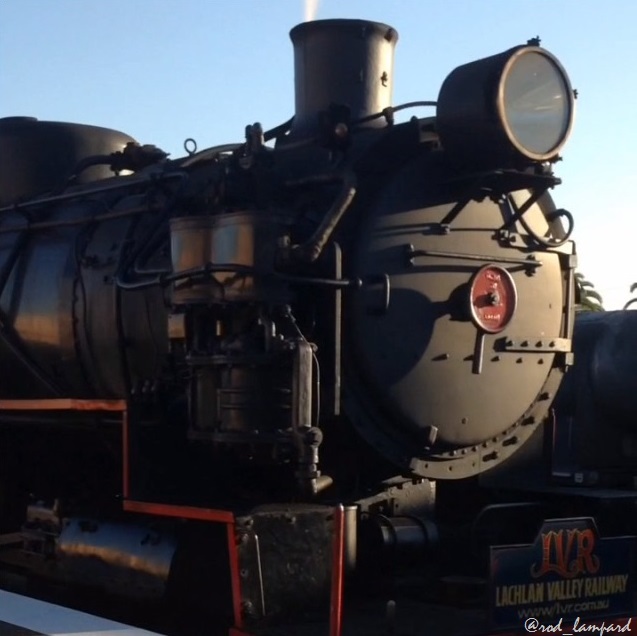 This Lachlan Valley Railways shuttle is a once in every two years event. Mostly run and maintained by volunteers. The journey only goes for an hour and half. Still cool when we get to experience a working coal and steam powered engine. This time around we were given a chunk of coal when the engine driver heard we homeschooled. (Bonus) I was wondering about Disney. Just wasn’t sure how close it was to you. Not surprised, but disappointed to hear the tickets aren’t at a more reasonable price. Annual passes for SoCal residents used to be doable (and it was fun being able to go every week if we wanted), but between six of us now and the price-hikes for tickets and parking, the cost is ridiculously prohibitive (approximating almost over two-grand for our family).